ColorChecker Passport Video is a powerful 'capture to edit' color solution for any filmmaker looking to save time, providing a consistent and predictable neutral starting point so you can get to your look faster than ever before. Take it with you on every video shoot – either indoor or outdoor. It will quickly become your go-to color tool during pre-production, capture and edit. 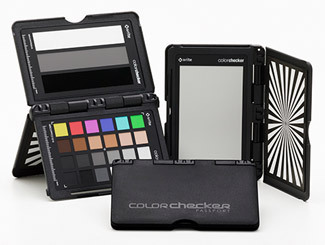 ColorChecker Passport Video combines 4 video production targets in one durable, protective "passport-size" case, giving you the ultimate in functionality and portability.